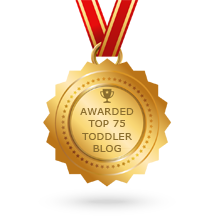 Book Review: Free-Range Kids - Joyful Toddlers! 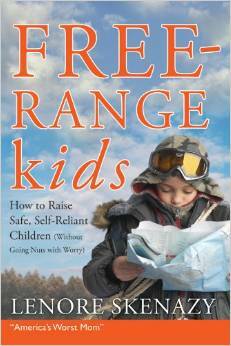 Overall, I really enjoyed Free Range Kids: How to Raise Safe, Self-Reliant Children (Without Going Nuts with Worry) by Lenore Skenazy. It is aimed at parents with school-aged children, but the message is worthwhile and in my opinion, it’s good to get an early reminder that the world is not as dangerous a place as we might think. The writing style is light and very humorous, but Skenazy is a journalist by trade and she interviews many experts and cites lots of other books. The impetus for Skenazy to write this book began she wrote a column for the New York Sun about letting her nine-year-old ride the subway alone for the first time. Much to her surprise, it ended up causing a complete firestorm with Skenazy dubbed “America’s Worst Mom” and being publicly chastised on various talk shows. Being a journalist, Skenazy began to do some research and discovered that while the world may feel much more dangerous today than it was when we were children, the facts tell a different story: it turns out that crime (against both children and adults) has been on a steady decline for the past twenty years. She started a blog, and eventually this book was born. -I really like how Skenazy uses statistics to put things in perspective for us. One of my favorites (pulled from another book, which she credits): if you actually wanted your child to be kidnapped and held overnight by a stranger, you’d need to let her play unsupervised outside for about seven hundred and fifty thousand years before it would become statistically likely. -I like how at the end of each chapter, there’s a little box for “Going Free Range.” Each box offers Free-Range Baby Steps, a Free-Range Brave Step, and a Giant Leap for Free-Range Kind. These steps are practical and generally quite feasible. -I love her overall message that children are generally much more capable than we give them credit for, and that it’s important for children to be experience things on their own, to be allowed to try things and fail, and to be allowed to develop competence. She also gives lots of practical tips on how to mitigate risks, rather than simply dismissing them altogether. -My main complaint was the third chapter, which turned me off so much that I almost didn’t continue reading the book. In it, she spends the first six pages bashing and all of the parenting books out there, with their detailed advice and their complex “right” ways of doing things. She mocks them specifically, by name. But what, exactly, does she think she’s doing? Is she not spending chapters and chapters telling us exactly what to do and not to do? This seemed so hypocritical to me that like I said, I almost just put the book down. I’m glad I didn’t. So consider skimming or skipping that chapter and coming back to it later. -My other complaint is that the book gets repetitive. Yes, we get that 70% of moms played outside when they were kids, but only 30% allow their own kids to play outside today. Much less wander out of the yard on their own. We get it! I think that this book would have been better at about half the length. Despite these complaints, the book is funny and approachable. She tells so many stories of overprotective parents who are so much worse than we are, that we can feel superior while still being encouraged to stretch ourselves a little farther. I would definitely recommend this as a read.